You’ve seen it on TV and quite possibly you’ve eaten from one and thought, I could own and operate a food truck! The idea has been bouncing around in your head for weeks if not months and sure, it can be a bit frightening because there is so much to know about building and running a food truck business. What if there was something available to guide you from point a to z on building and marketing your food truck business? What if you had someone, who is an expert with knowledge in the industry of food trucks that can answer all of your questions and tell you what your best options are for success? Simply put, there is no one person; you have a team of people from Tampa Bay Food Truck Rally to help you. 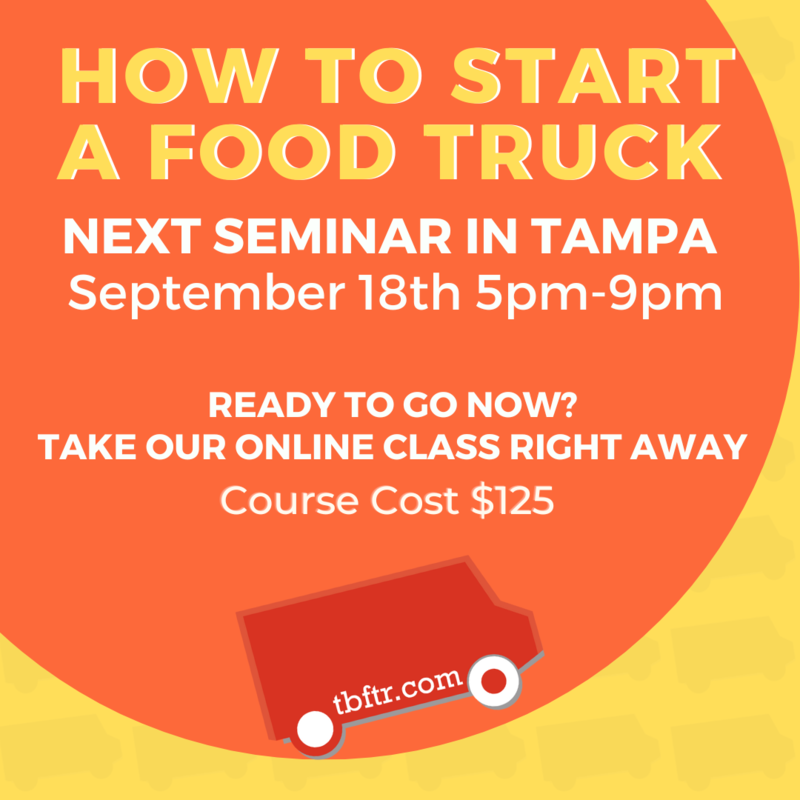 Our business is solely focused on food trucks and we’ve taken our knowledge from the field and have packed it into a four hour seminar of what works best. From helping you refine your business' concept to serving your first meal and everything in between. We have helped several food truck operators start successful careers in the food truck industry. So please join us for our up coming seminar on July 12, 2015. We look forward to seeing you in person or online!